Item # 314700 Stash Points: 595 (?) This is the number of points you get in The Zumiez Stash for purchasing this item. Stash points are redeemable for exclusive rewards only available to Zumiez Stash members. To redeem your points check out the rewards catalog on thestash.zumiez.com. Add a fresh scent to your car, room, or locker with the Smile Swirl Air Freshener from Loser Machine. 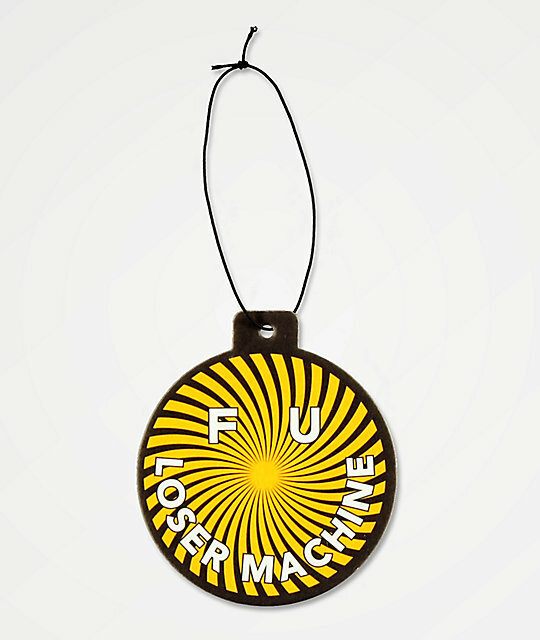 This circle shaped air freshener features double-sided graphics of yellow and black swirls with text that reads "F U Loser Machine." A vanilla scent is added for good smells and good vibes. Smile Swirl Air Freshener from Loser Machine.